Landing craft wreck on the Caicos Banks. The collapsed thunderdome from Le trésor de Pago Pago off of Malcolms Road Beach..
Disclaimer: This article is for general information purposes only. Attempts have been made to ensure it's accuracy (as of 2015), but Visit Turks and Caicos Islands and it's editors accept no liability for the use or application of this information. Only qualified and certified divers should attempt scuba diving. Wreck diving in particular can be extremely dangerous and should only be undertaken by persons who understand the risks involved in this activity. 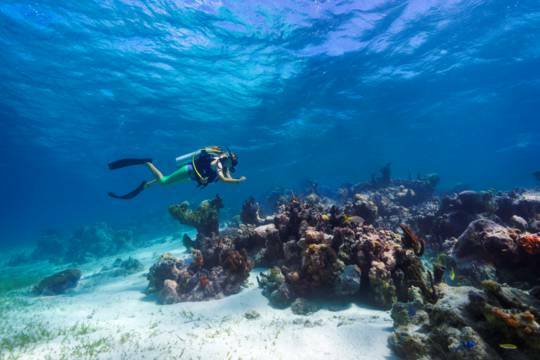 Although well known for sheer walls, an extensive barrier reef and pristine sea life, the Turks and Caicos rightfully does not have a reputation for wreck diving. 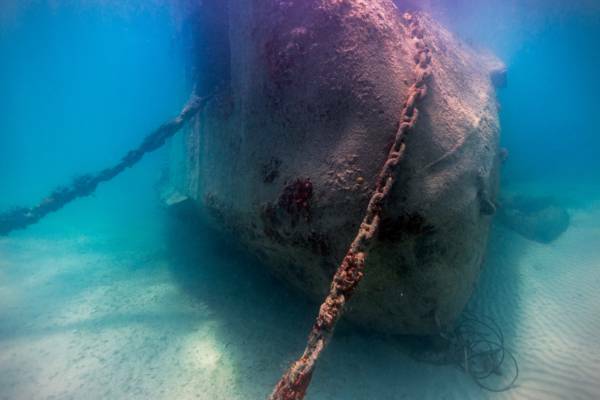 The reefs around the Turks and Caicos have proven to be very dangerous to ships in the past centuries, with some sources putting the number of wrecks at past 1000. Unfortunately for marine archeologists and divers, the vast majority of these vessels wrecked on the shallow barrier reefs around the country and either broke apart rather quickly or probably slipped off the wall into very deep water. The area around Northwest Point on Providenciales proved to be so treacherous to ships that a wreck salvaging station, Birch’s Lookout, was operated in the 1800s. The initial settlement of Blue Hills on Providenciales also probably owed its existence to the trade. When mentioning wrecks in the Turks and Caicos, the Molasses Reef Wreck bears highlighting. Located between French Cay and West Caicos, this probably Spanish caravel is believed to have gone down around the year 1513. This site is unique in that it’s the oldest excavated European shipwreck in the Western Hemisphere. The site was pillaged by treasure hunters in the 70s, and explosives caused extensive damage to the site. Artifacts salvaged from the remains are displayed in the Turks and Caicos National Museum on Grand Turk. There’s nothing of the ship to be seen here today, but the area offers excellent snorkeling. Wreck off the south of Providenciales. Below we go over the known wreck sites that may be worth diving. 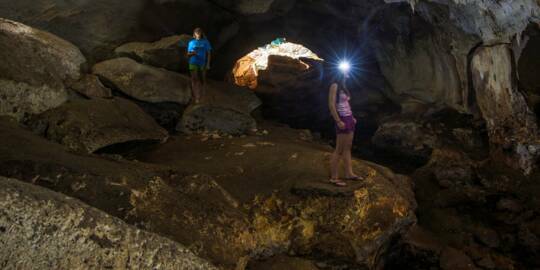 Dives to these sites are not regularly scheduled by any company, so a custom trip will have to be arranged. 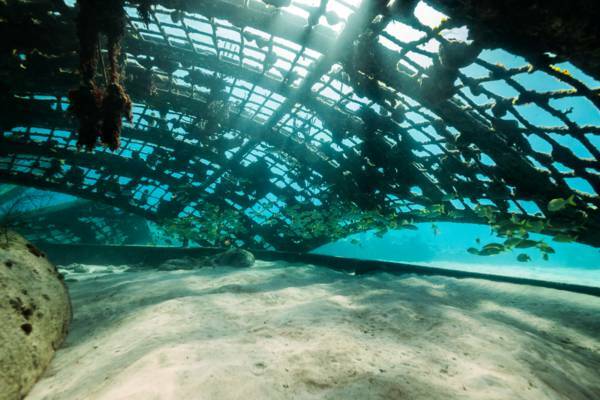 Wrecked in 1978, this twin piston engine airplane sits in about 55 feet (16m) of water. The airplane today consists of the wings with a small section of fuselage, and some broken wreckage scattered around. This is one of only a few wreck dives sites in the Turks and Caicos that’s feasible for recreational diving. This plane wreck is sometimes mistakenly referred to as Convair 29. Unfortunately, Hurricane Ike caused the shutdown of South Caicos Divers in 2008 and no dive company currently visits the site. 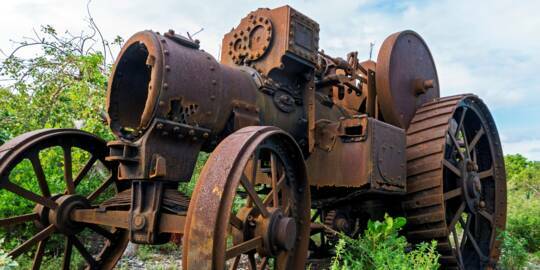 The most famous of the wreck dive sites in the Turks and Caicos, this British fifth-rate 44 gun warship went down near Salt Cay in 1790. After striking a reef, the ship floundered for three days before sinking. All of the crew survived. The site where this ship was wrecked has come to be known as Endymion Rock. Today, the anchors and chains are the main recognizable remaining features of the wreck. Dive depth reaches a maximum of about 40 feet (12.5m). The General Pershing, a five-masted schooner with a very early diesel engine, wrecked on the same rock in 1921. Remains and an anchor from the incident are found nearby. The area surrounding the HMS Endymion is a protected historical site and it is illegal to remove or damage any historical artifact. 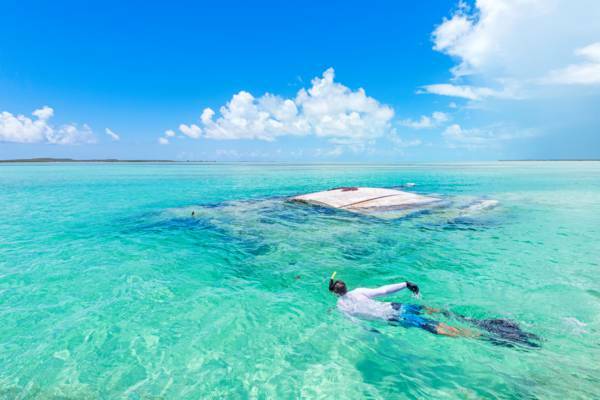 Snorkelling at a catamaran wreck in Bell Sound, Turks and Caicos. Intended to be a dive site, this ship was found abandoned and sunk intentionally in 1988 on the barrier reef off Turtle Cove. Unfortunately, the open freighter ultimately ended up at 90-165 feet (30-50m), and as the depth is too great for recreational diving, dive companies do not visit the site. The freighter is still intact. This site is close to the scattered remains of the Southwind freighter wreck, which today consists only of some loose debris. In 2010, both of these vessels were intentionally sunk in shallow water off the west coast Of Salt Cay as dive sites and artificial reefs. The plane, a small twin engine Cessna 401, crashed in a salina on Salt Cay with the pilot and all passengers only sustaining relatively minor injuries. The Lucky Lady was a small fishing boat that sunk in Salt Cay Harbour during Hurricane Hanna in 2008 and was relocated two years later.